Slip into style from heel to toe! Beige cording and a mandarin-style knot accent pretty blue and purple flowers. 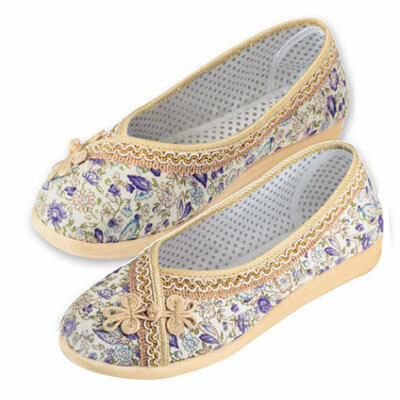 These Floral Garden Slip-on Shoes have a flexible, non-slip sole and reinforced heel for comfort. Polyester. Imported. Available in whole sizes.